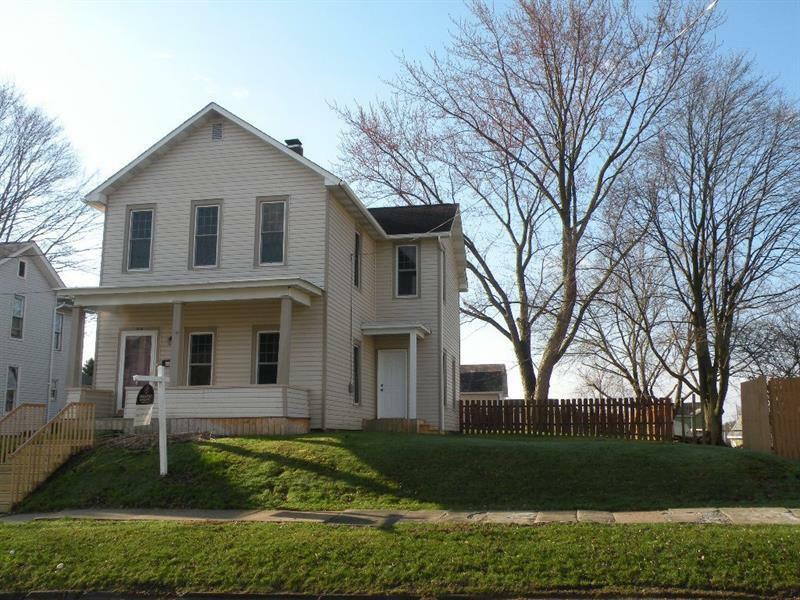 Turn key home with large fenced yard & ample off-street parking including a small one car garage with storage loft. 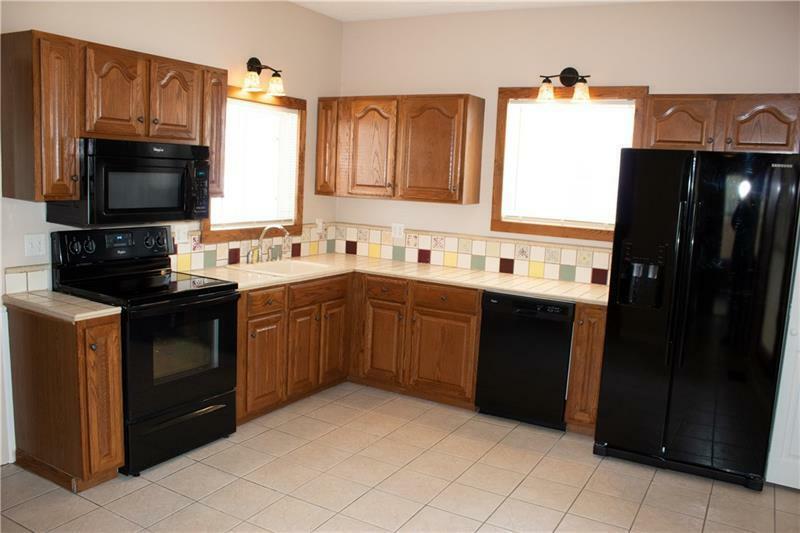 Large, square kitchen featuring a ceramic tile flooring, a pantry & room for a table. Convenient, first floor laundry means fewer trips to the basement. A decorative fireplace adorns the dining room, which also features a closet & an entry door leading to a small side porch. 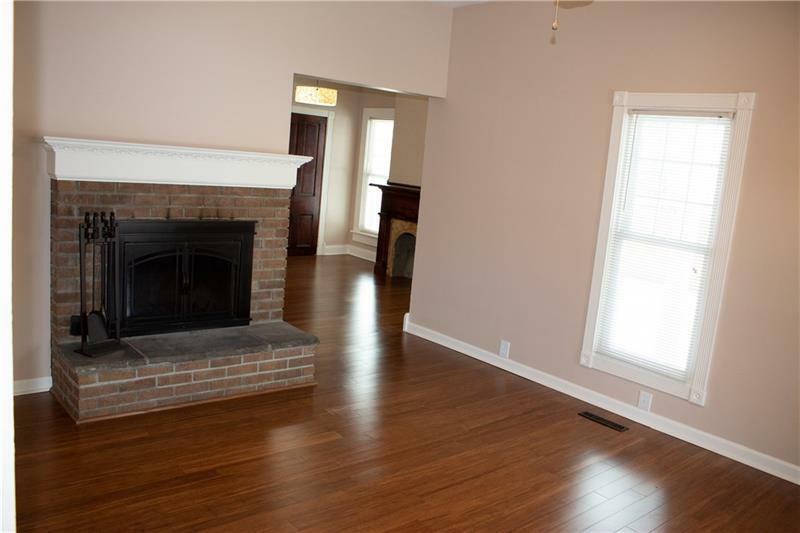 A woodburning fireplace & large pass-through are highlights in the living area. Classic woodwork graces the staircase. 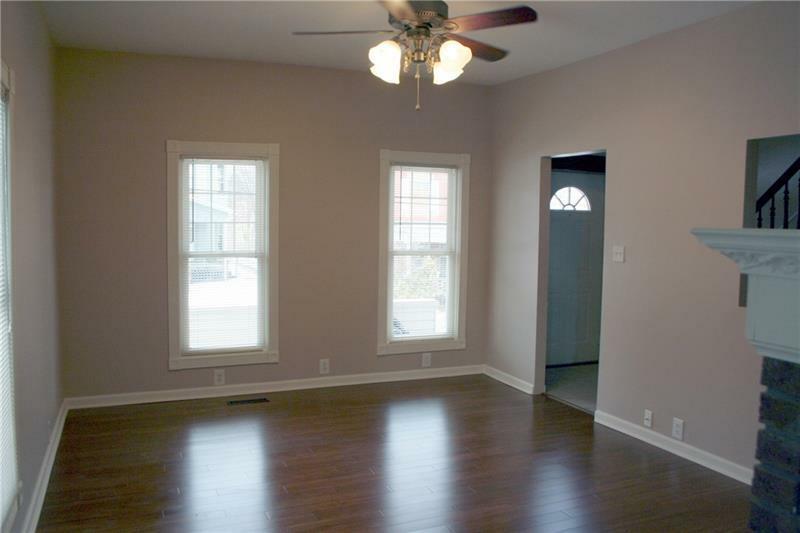 Upstairs, the large master bedroom offers a 'walk-in' closet that could be converted into a small office. The back bedrooms each feature ample closets. The hall bath is updated, yet retains character, courtesy of the original herringbone hardwood flooring. A brand-new furnace was just installed in January of 2019. A freshly-painted neutral interior and recently cleaned carpets allow you to just unpack & get on living in your new home. The work's been done.